From the very beginning of my JSX Lady Style classes I began teaching back in 2010, I wanted to approach the way ladies were taught the beautiful dance of Salsa as well as lady styling in a fresh way I had always dreamed of being taught by my mentors and peers when I first began dancing in the scene. It is said that to teach is to learn twice which I strongly believe is fundamentally important for anyone with a passion for teaching others their skills. Each and every day of my dancing career, from my very first right up to where I am now, I feel that I have been learning. The many different roles I commit myself to as a teacher, choreographer, artistic leader and performer, I am first and foremost a student of these disciplines at their very core before I can share them with my students and peers and people who have trusted me to lead. Holding this firm and grounded belief humbles me that I can only ever be as good as I can be, and not look to others and compare my skills with theirs wishing I was them. Learning from others is a special process as it teaches and shows you how to follow in the steps of someone who can and has done it before you. It has nothing to do with they can and you can’t, but more so the fact that you can and they are willing to put the time into helping you build yourself up to achieving the next level of your skills. I have been a student to many teachers who instilled in me the importance of commitment and practice makes perfect. What I think make my classes unique, fun and invaluable to the ladies who take part in them is the systematic approach I take in making each and every lesson a stepping stone to the next, which means they are constantly building themselves up. Step by step, the ladies are improving their overall dancing ability and confidence as they learn a piece of carefully planned choreography I prepare well before the lesson begins, which gives me a paintbrush and blank canvas of where I want to take the class and what I want them to learn and improve on. We all learn at different paces and some pick up certain things quicker than others, but I truly believe in the whole group progressing forward as a whole so that no one feels left behind or less prepared than the lady next to her. Dancing is an art as well as a process where you are always learning which promotes growth in you as a person. The moment you finally land that step or move you have been putting hours of your time into feels extremely empowering and pushes you to want to advance your skills even more. I have been dancing for many years and I hope that it is my style as well as my name that draws ladies to learn how to dance Salsa with me. I bring no one but myself to this form of artistic expression and it is endearing to know that ladies from all over the world have been eager to learn something from me. Warming up is important whenever the mind, body and soul is about to move and get out of its comfort zone of everyday life. I enjoy warm ups in my classes to get the ladies loosened up, leaving all their stresses of the world at the door when they step inside. Once the ladies have warmed up and I can see they are ready to step it up a notch, the heels come on, the music turns up and the real learning begins where I build up and show each step and movement for all to see and take note of so that they can already work out in their minds what is expected of them. It is a wonderful thing to experience the value of someone getting whatever it is you have taught them and dancing is no different. Energy is high in my classes because I want each lady to feel like they are truly getting an honest and full experience. I have seen over the years my teaching style has improved that it is greatly appreciated when I am amped and enthusiastic. It helps a great deal with the learning process. I build up the choreography starting with basic movements or something from a previous lesson which helps focus my students’ minds and trigger their muscle memory. I progress with the steps, movements and styling throughout the class when I see the ladies are picking it up. Some weeks they are on fire and pick it up quickly, and some weeks we focus on specific parts of a choreography when needed in order for everyone to mutually benefit from the shared learning experience. I see development and growth as one of the most beautiful things we as human beings can experience and realize within ourselves. 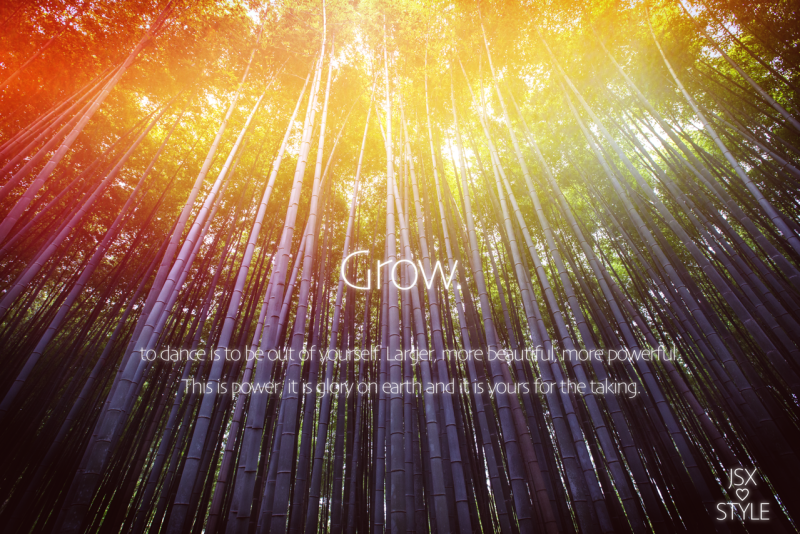 The feeling of growing is empowering which demands more growth and positivity and is an upward spiral to living a more happy and balanced life where we can face the challenges of the world with a smile on our faces. Dancing has always been there for me and continues to push me as a person as I am always wanting to learn more and share more with my students. This brings me true joy and happiness which I love sharing with my fellow peers and students in the Salsa dancing scene. It is my passion and my life’s work, one that I am very blessed to share with others and perhaps start a flame of passion in someone else who could go on to be the very best they can be. Like anything else worth doing, learning how to dance with the proper technique requires massive amounts of time and dedication with the correct leadership and training. I believe nothing else will better yourself other than practice, practice, practice. It is up to you as a dancing student to allow yourself the time to grow and become better with literally every step you take. People are rewarded momentarily in public doing things they have practiced for many years in private. This is so true for dancing as it is for any other form of learning. I am grateful to share my passion with the world, helping others realize theirs and helping them grow in any positive way. JSX Lady Style has over the years grown along with me and the any ladies and students who grace it with their presence and continue to do so to become a name worth being associated with where you can learn and grow and reach your full potential as a powerful lady in an ever changing world which demands strength from us as ladies. I am proud and humbled to have built my name and brand in the competitive and welcoming scene of Salsa dancing and will continue to always give my very best to the ladies who put their trust in me to help them better their skills as dancers and better their characters as people. Do you want to experience JSX Style? Join my classes ! Lady Style 10 week course September 19th & 23th! Register now!